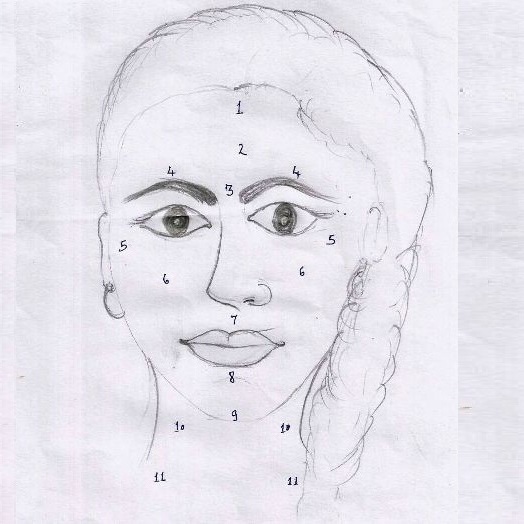 Dark patches: Above eyebrows, on cheeks, upperlip,neck and forehead. 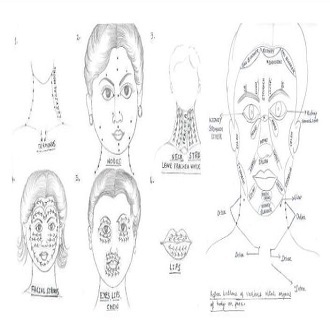 There are three types of common facial patterns of pigmentation: CENTROFACIAL (center of face), MALAR (cheek bones), MANDIBULAR (JAWBONE). 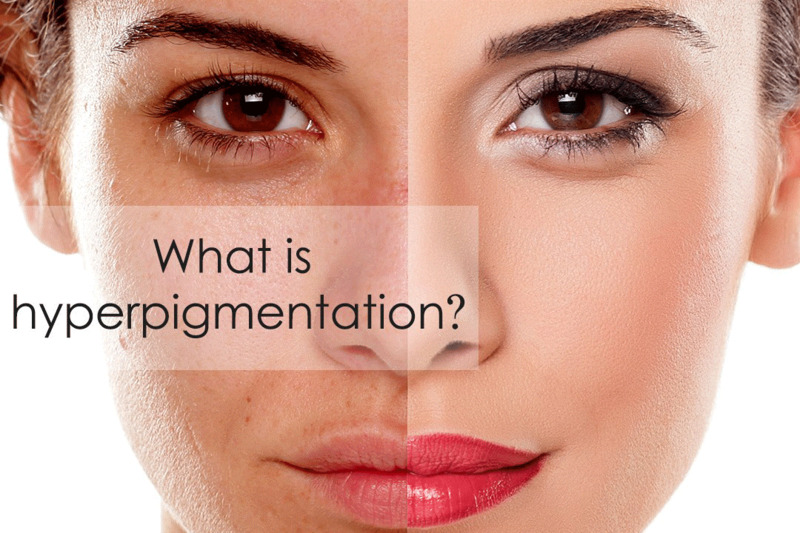 There are four types of Pigmentation 1. Epidermal-Excess melanin in superficial layer. 2.Dermal-Melanophages (cells) which ingest melanin. 3.Mixed- Epidermal and Dermal. 4.Type found in dark-complexioned individuals (excess melanocytes). Most common is Mixed Melasma. Epidermal Melasma shows quick response. 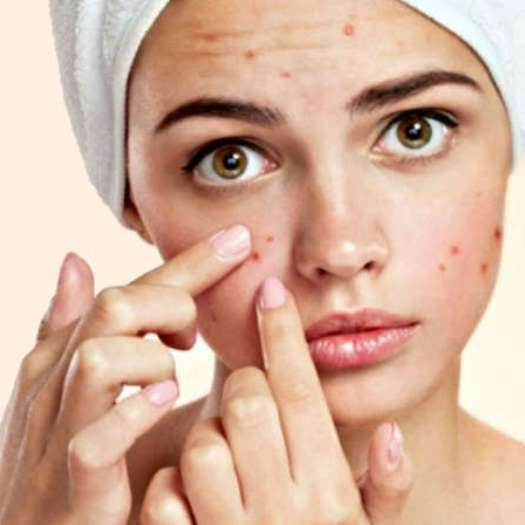 Sometimes Melasma vanishes with discontinuation of birth control pills, avoiding Sun, properly moisturising skin in a religious manner , optimal nutrition, Yoga. It is also known as Pregnancy Mask, as most of the times it occurs during pregnancy(chloasma) and subsides when one stops feeding the baby (when there is no lactation). It is both Epidermal( superficial)and Dermal. 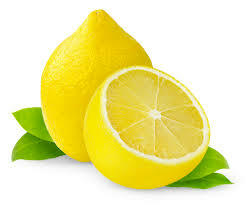 Reasons : 1. Pregnancy: stimulation of Melanin Stimulating Hormone. 2.Use of contraceptive pills, 3. Stress/ Adrenal Fatigue, 4. Constipation, 5. Junk food, Beverages(Hot Tea and Coffee), colas, 6. Menopause, 7. Heriditary, 8. Exposure to Ultraviolet rays, 9. Women working in kitchen in constant heat, 10. In summers due to intense Sun, 11. Through products and treatments that irritate the skin, may cause an increase in Melanin production, causing melasma. 12. Suggestion of Microdermabrasion by a so-called expert and implementation: It is generally performed to cure Acne and post-acne scars.It is a skin resurfacing procedure that uses a rapidly rotating device to sand the outer layer of the skin. After Dermabrasion the skin that grows back is usually sensitive and bright pink for three months. The pink colour turns to dull brown after three months , before coming to its original colour. This darkness sometimes becomes uneven and permanent (Hyperpigmentation). Since Melasma is a deep form of Hyperpigmentation and Microdermabrasion exfoliates the skin at a superficial level, it is unable to reach the damaged skin cells. To correct Melasma it is necessary to reach dermis of the skin, where melasma is contained. Oral intake of contraceptive pills stops ovulation, imbalances hormonal secretions which brings about hyperpigmentation. I am not saying that all women on contraceptive pills suffer from Melasma. Exceptions are there, but it is risky. Stress/Adrenal Fatigue: It is a collection of signs and syndromes that result when adrenal glands function below the necessary level. Prolonged stress, chronic infections (Bronchitis, Influenza, Pneumonia) can be few causes. All these result in fatigue. Fatigue is not visible but there are some signs like: You feel tired for no reason, You have trouble getting up in the morning even when you go to bed at a reasonable hour, You feel rundown, You have a difficulty in coming out of stress or illness, You feel more awake, energetic, happy after 6p.m! Unexplained weight loss. Don't relate this to depression and treat it accordingly. Consult MD and undergo suggested tests. Adrenal fatigue and estrogen dominance are very similar in their symptom presentation. Most women suffering from adrenal fatigue have estrogen dominance and this also leads to Melasma. Constipation: our body sheds its extra estrogen through stool, everyday. But if you are suffering from constipation, the stool remains in the colon area for long and estrogen in the stool circulates back in the body, which stimulates Melanin Stimulating Hormone (MSH) and this is when melasma begins. REMEDIES: 1) Drink a lot of water. When your skin tissues are hydrated they function properly and a lot of skin problems resolve on their own. 2) Blood test should be carried out to find out nutritional deficiencies. 3) Stop birth control pills. 4) Consumption of vit C and B(water soluble vitamins) should be appropriate, and Vit E (400 I.u.-as directed by the Doctor) 5) Almonds -Consume atleast 10 soaked Almonds everyday, 6) Use sunscreen rich in vit. C as it is a natural skin protector and beauty vitamin. 7) As perspiration reaches to the surface of the skin through pores, anything very light ( like blend of essential oils in cream base ) can reach to the Dermis through these pores , which can help cure Melasma. More effective are herbal extracts in combination with essential oils in cream base. This care should go on parallel with optimal nutition, intermittent rest, yoga/Pranayam, to yield best results. 8) Avoid Sun as much as possible, 9) Avoid processed and packaged foods which contain preservatives. Allergies through such foods can also lead to inflammation , which gradually turn to brown patch and ultimately Melasma. 10) Increase fibers in diet: A low fiber diet causes estrogen levels to be higher. When one eats high fiber diet, extra estrogen is extracted in the bowel easily and regularly. With high fiber diet , the chances of constipation are nil .There is balanced level of estrogen , which reduces both Epidermal and Dermal Melasma. 11) Cod liver oil, Evening Primrose oil should be taken as supplements (consult Doctor), if one suffers from Premenstrual Syndrome, 12) Paneer, Curd, Milk, Fruits, Sprouted grains, Steamed vegetable soup, fresh vegetable juices, nuts should be the regular features of your diet. As discussed, Melasma is not completely curable. But we have seen Melasma subsiding completely in some cases. These cases were the ones who followed good diet routine, perfect skin care regime and Yoga i.e. who had a disciplined lifestyle (for a long time). Along with these , one more aspect is important: have patience and don't give ear to any or every suggestion by so many around you, otherwise once again you will go off -track and Melasma will resurface. With correct treatment your Melasma will fade gradually boosting your self -confidence. Your care regime and a mirror will be/are your best friends during your course of treatment.